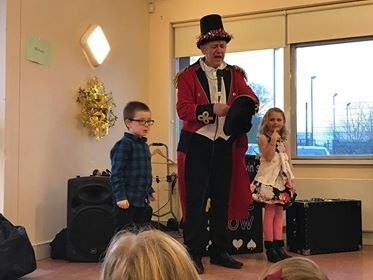 Greatest Showman style Professional children's entertainer. 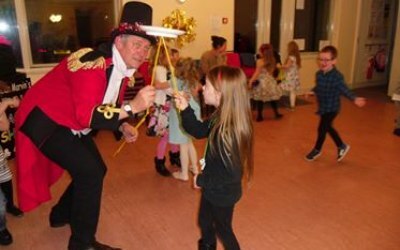 Providing magic & puppet shows, circus and balloon modelling in the Darlington, Middlesbrough, Newcastle, North Yorkshire and Cumbria area. 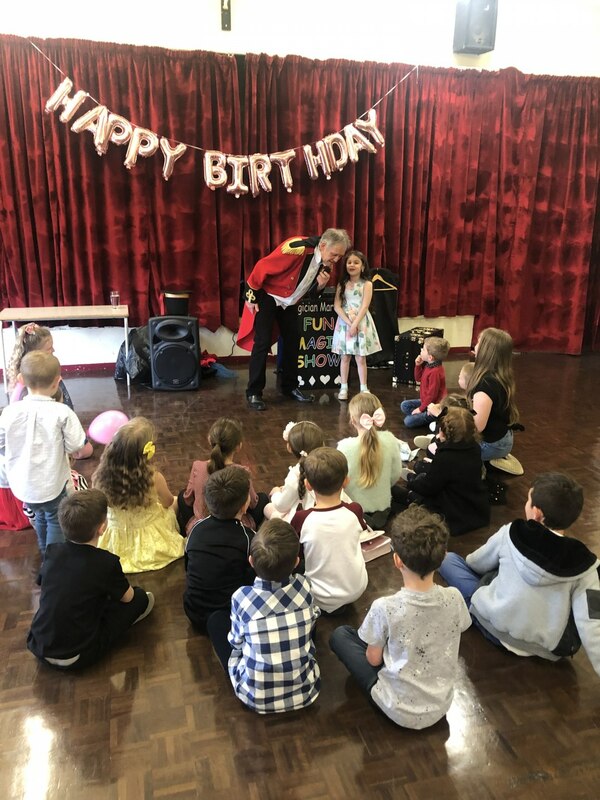 Magician Marvin is a professional magician, ventriloquist, puppeteer, storyteller, circus performer and balloon modeller. He incorporates all his skills and experience to create truly memorable and magical occasions. 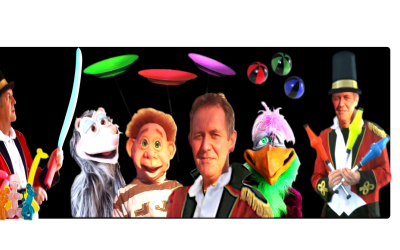 His quality puppets always steal the show with their dynamic personalities. 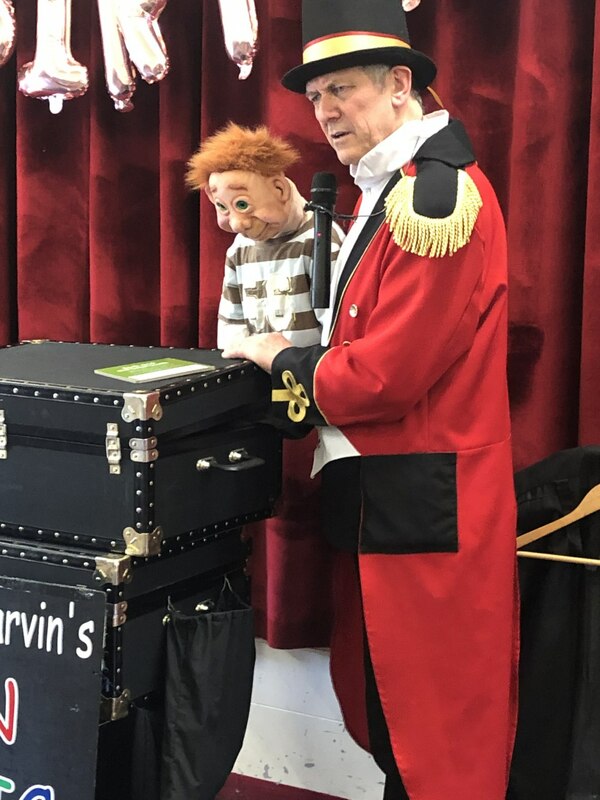 It is the expertise in which Marvin can interact with the audience through his puppets that sets him apart from other children's entertainers. Marvin has toured extensively throughout the UK and Ireland. Last year he performed at the Sligo Science Fair for the 12th consecutive year. A professional and seasoned performer Marvin will make your event a wonderful, magical experience. Recycle Magic: A fast paced environmental awareness show that promotes taking care of our environment. 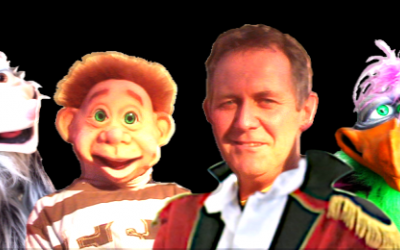 The show has been seen by thousands of primary school age children. 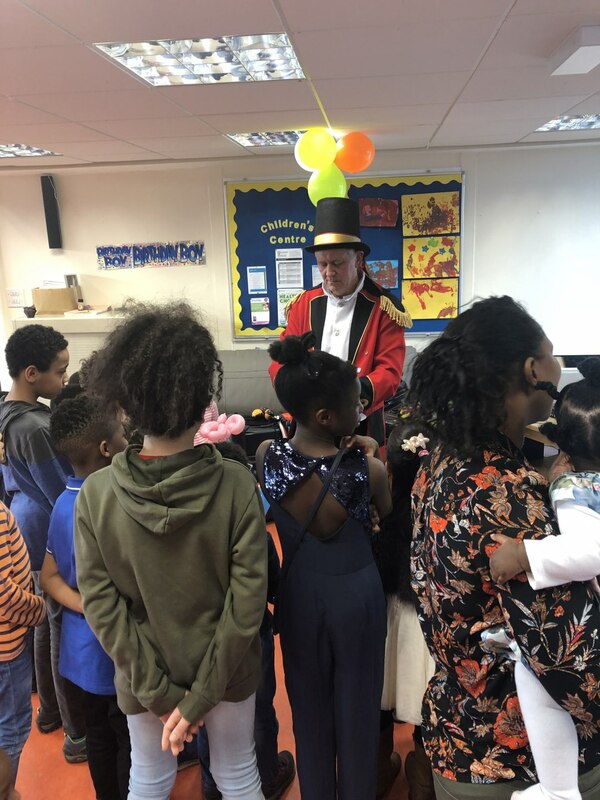 Book Show: Exciting fun show for Reception and Key Stager One students. 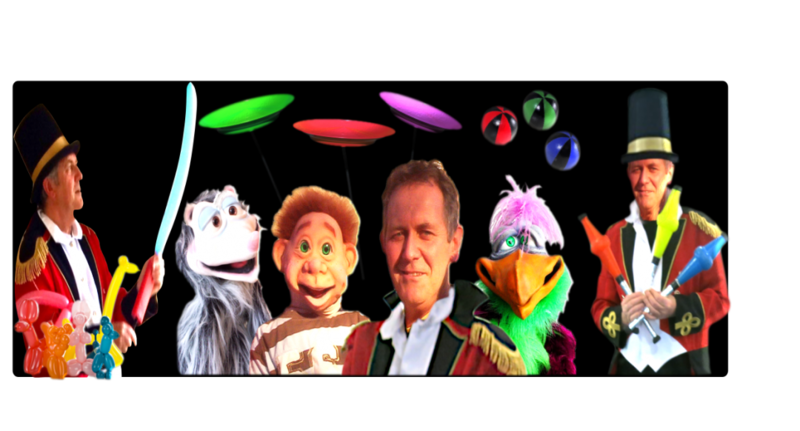 Amazing magic and enchanting puppets open up the wonderful world of books. 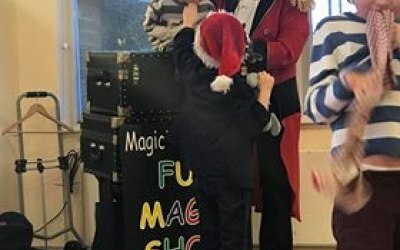 Feel Good - Feel Magic: A fast paced interactive show that encourages young people to adopt a healthy lifestyle. Brilliant service from start to end!! 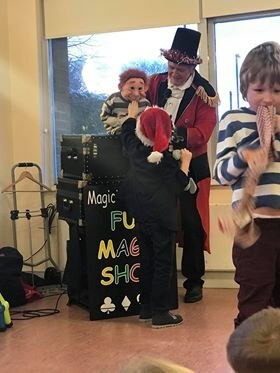 Magician Marvin was brilliant,he kept a large group of children (20 approximately) with ages from 6months to 13 years engaged from start to finish!! He arrived on time and had all the equipment he needed. 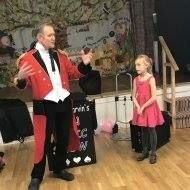 His show was great and the kids loved it!! 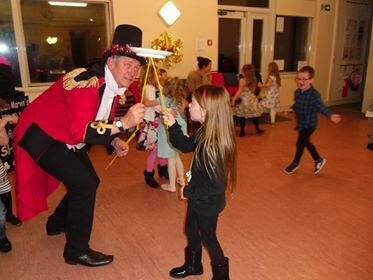 I would thoroughly recommend Magician Marvin for any function where children need entertaining!! Thanks Andy for your positive review. Always pleased when I receive such fab feedback. What can I say, this guy was amazing!! Thanks Joanne for your great review. Lovely to hear the wee ones had a good time. Big thanks for booking my entertainment. Big thanks Kirsty for your lovely review! Always nice to hear the children and adults enjoyed themselves. Thanks again for booking my entertainment. 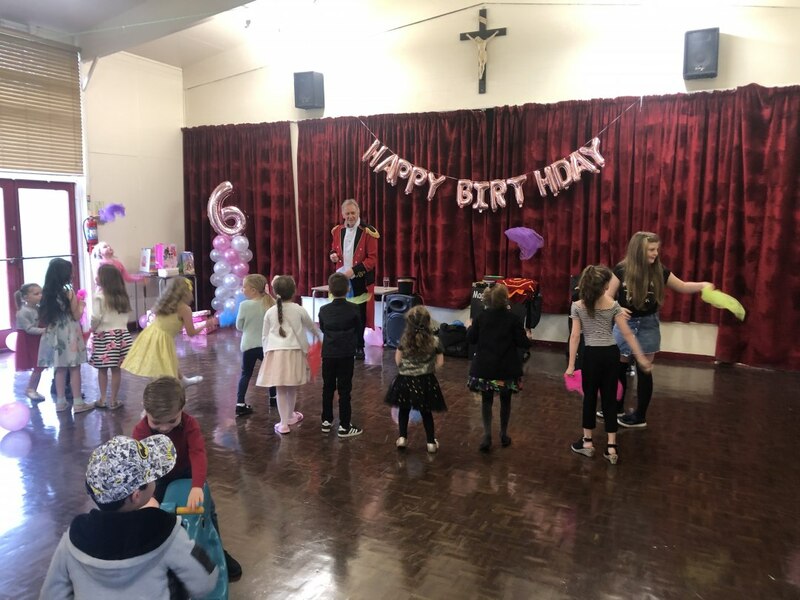 Marvin kept the children's attention and catered for all age groups. Thanks Janet. So pleased the day went well for all. Fantastic! Kids well entertained for 2 hours. Great communication and excellent cost. Kept kids entertained for the full 2 hours. All kids got a balloon, and they loved the puppets. Highly recommended. Thanks Zoe for your great review! Always love to receive feedback. Big thanks again for booking my entertainment. Thank you Akram, so nice to hear everyone had a good time. 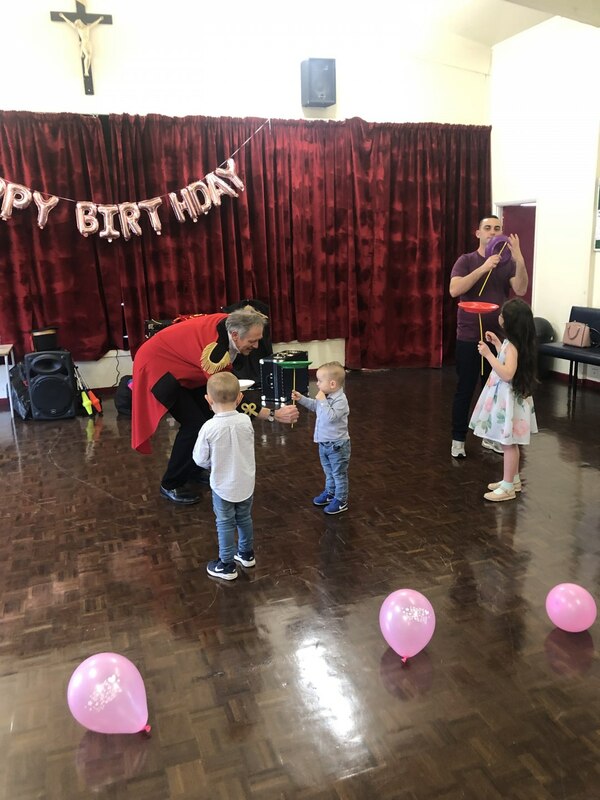 Thanks Marvin, your service was worth it, everyone had fun, especially the kids, they did enjoyed and giggled throughout the party. Thanks. Thanks Phina, Had a great time myself. I recently hired Marvin for my little girls 5th birthday party. It was in our home and Marvin was absolutely amazing with all the children. 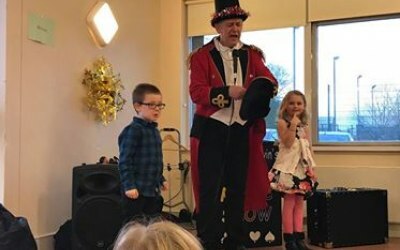 The children were compelled entertained and I will defenatly look to hire Marvin in the future. I would highly recommend him. Thanks Lisa. So pleased everyone had a great time. Thanks Amy, I had a great time as well. 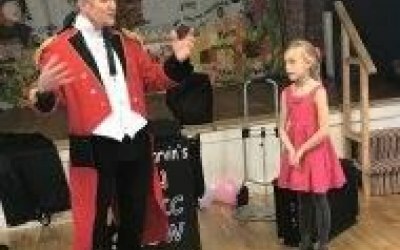 Get quotes from Magician Marvin and others within hours.